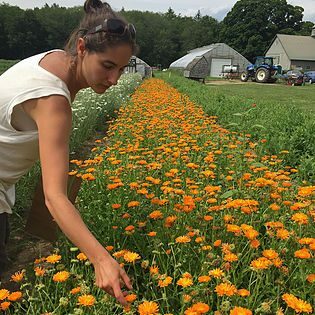 Hart Farm grows food for local farmers’ markets and for a small box-share distribution in New York City. At their farm stand and store in Conway they sell fresh produce, eggs, flowers, maple and value-added goods. By using organic growing principles that encourage sustainable land management, the food that is grown is clean, safe, and ethically created.